On another note, I'm scratching my head over this table from the 1976 teletext spec. I thought I understood the spec perfectly until I saw this. What are they trying to convey by includes/excludes RED/GREEN/BLUE? Is it just a convoluted way of saying colours don't set themselves? Last edited by colonel32 on Thu Jul 12, 2018 3:33 pm, edited 1 time in total. That just seems to be a really convoluted way of saying which RGB lines will be activated by each colour control codes. A receiver responding to one or more occurences of the Double Height mode in Row 'R' will operate as otherwise during that Row except that in every Character Rectangle during the Double Height mode only the upper half of what would otherwise have been displayed is displayed, stretched vertically to fill the rectangle. On Row 'R+1' the corresponding lower half of each of these is similarly displayed. The remaining Character Rectangles of Row 'R+1' are to be displayed as unboxed spaces of the same Background colour as the corresponding Character Rectangles of Row 'R'. To me this implies double-height backgrounds only get copied down after Double Height 0x8D, and stop getting copied down after Normal Height 0x8C. But neither edit.tf, zxnet nor Richard's telstar.bbc do that - they copy everything down if there's at least one Double Height 0x8D. Last edited by colonel32 on Thu Jul 12, 2018 8:37 pm, edited 6 times in total. To me this implies double-height backgrounds only get copied down after Double Height 0x8D, and stop getting copied down after Normal Height 0x8C. I read it the other way. "The remaining Character Rectangles" refers to the character rectangles that aren't in double height. So the background is copied for these. The background is also copied for the double height characters, so it is copied for the entire row. And this makes sense functionally. If you are only broadcasting the first row of the pair it is reasonable to take the background colour for the second row from the first. I think I'm convinced, thanks. 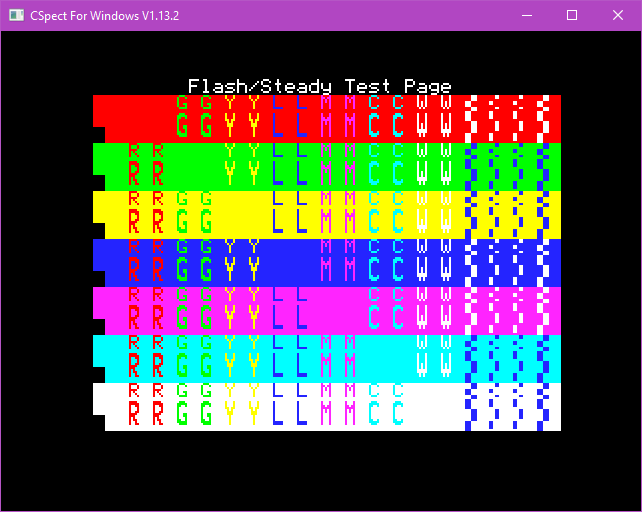 Yay - another test page rendering as it should in Brandy. Last edited by Soruk on Mon Jul 16, 2018 3:55 pm, edited 1 time in total. 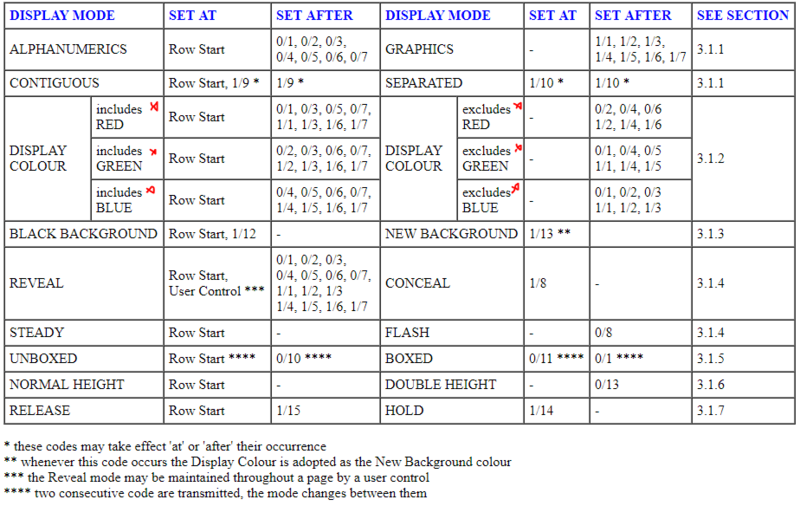 When double height (or double size) characters are used on a given row, the row below normal height characters on that row is displayed with the same local background colour and no foreground data.